In January this year, the province’s executive council published proposed changes to the gambling law, including one that could deprive Phumelela of the 3% tax gain that it derives from gamblers’ winnings. The tax amount will be directed, instead, to the Gauteng Gambling Board. The betting tax received by the group in Gauteng makes up 90% of its betting tax in South Africa – to the tune of R75 million a year. The amended regulations will be published this weekend. Stuart warned that the proposed amendment would hit the group hard. He pointed out that payment of the tax was agreed to between the Gauteng government when the racing industry was corporatized in the 1990s with the intention to ensure the sustainability of the industry. On March 29th, Phumelela applied to have the amendment of Regulation 276 reviewed and set aside, with an urgent application to suspend the implementation of the Regulation altogether. The urgent application will be heard on April 9th. 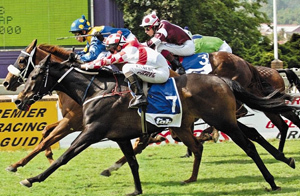 It was reported that that December 2018 was a particularly poor month for the global racing industry, including South Africa.